Alberto here. The female human has evidently attempted to mock us on this Howl-o-ween holiday the humans celebrate. We are not amused. She has attempted to apologize but I’m not buying it. 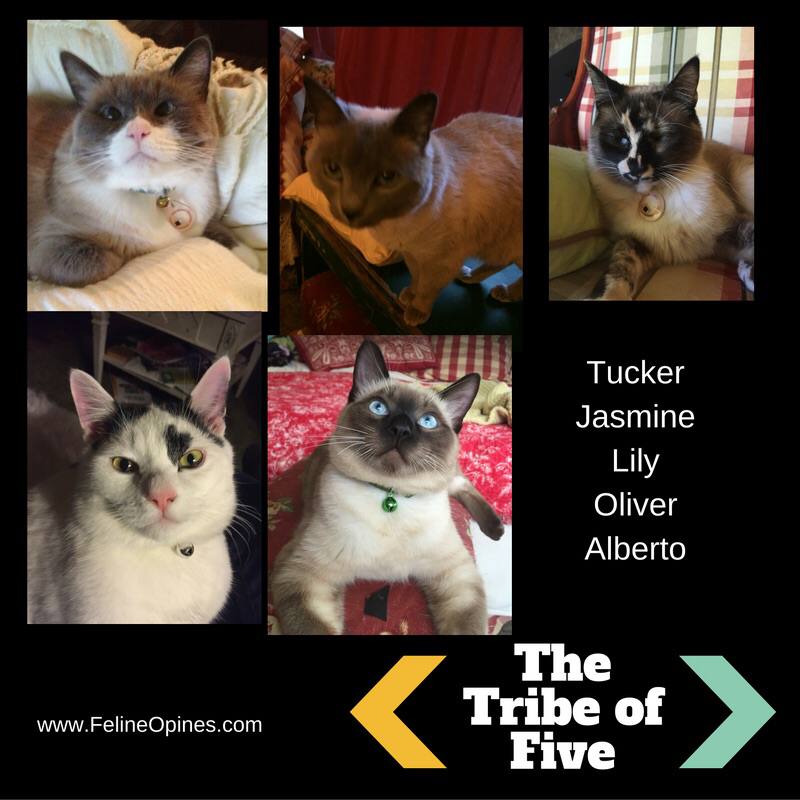 We are honored to have been named one of the Top 50 Cat bloggers by Thoroughly Reviewed. I have officially ended my blogging strike. 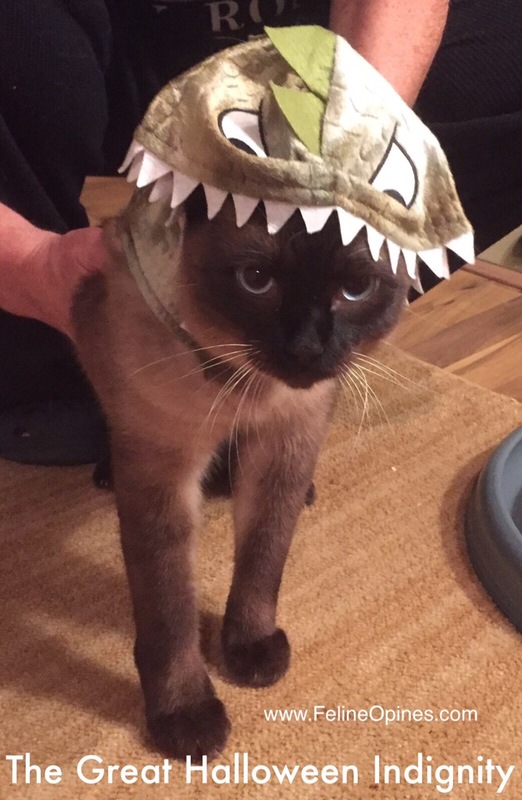 The humans heard me loud and clear as regards my distaste for the ridiculous dinosaur costume they tried to make me wear. At The Trive of Five we have a “no costume” policy that is now enforced after this recent debacle. As a result of this strange holiday the humans seem to enjoy, I decided to devote this Wednesday to their ridiculous celebration. 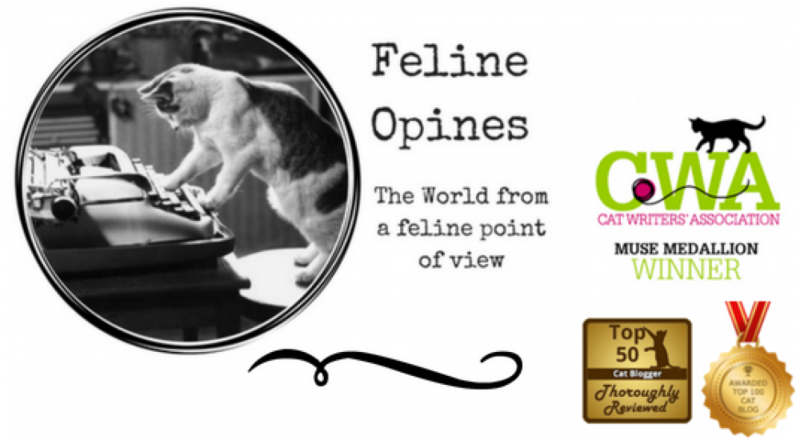 I also wanted to point out that this feline is an equality opportunity blog writer and today I have featured a blog by mice as well as dog posts. My first listing will be a bit of shameless self-promotion as I am featuring my post The Great Halloween Indignity which started my campaign against the human’s Halloween ridiculousness. My next selection is from the good folks at Hartz “How Black Cats Came to Halloween” Black cats have a bad reputation, especially during this time of year. The female human who is my purrsonal assistant for blogging (can’t use a keyboard without opposable thumbs) got a bit misty-eyed when she saw the photo on the Hartz blog and told me about a black cat that used to live with the humans named Buster. I sure wish I could have met him, he sounds like a great guy. I’ve included a photo of our Buster as an homage to the big guy. There are many written about the perils and terrors of the noisy Fourth of July celebrations the humans love so much but few about keeping cats safe on Halloween. 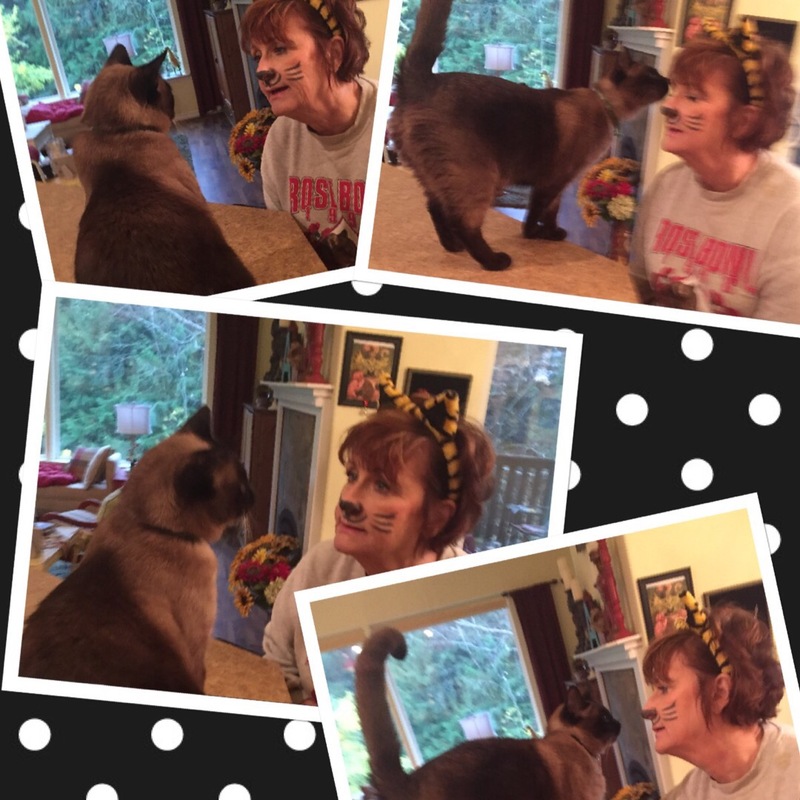 Well, I found an excellent article from Pet MD called “Halloween Safety Tips for Your Cat”. ‘Some really good stuff there and I made sure both humans read it. Finally, I would be remiss if I didn’t feature some canines in Halloween finery. This selection is from The Telegraph “25 of the Best Dressed Dogs at the New York City Dog Parade”. This article features photos from this year’s parade and I must say some of them are quite clever. I would also note that these canines look a lot less put out about the whole costume situation than their feline friends. Well, folks that’s it for the week, all I have to say about this Halloween holiday thing is this, cut the wires in the scary doorbell and keep a bowl of tasty canine/feline/hedgehog/mouse etc. treats handy for your furry family members. 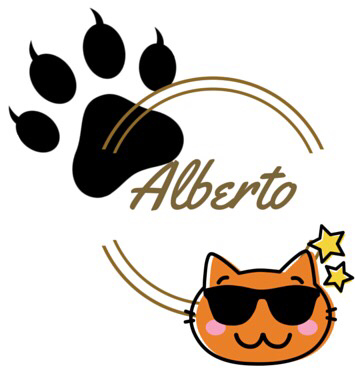 Alberto here. I have been observing the humans lately and the female human appears to be in a state other humans refer to as “stressed out”. As a feline, I am unfamiliar with this. 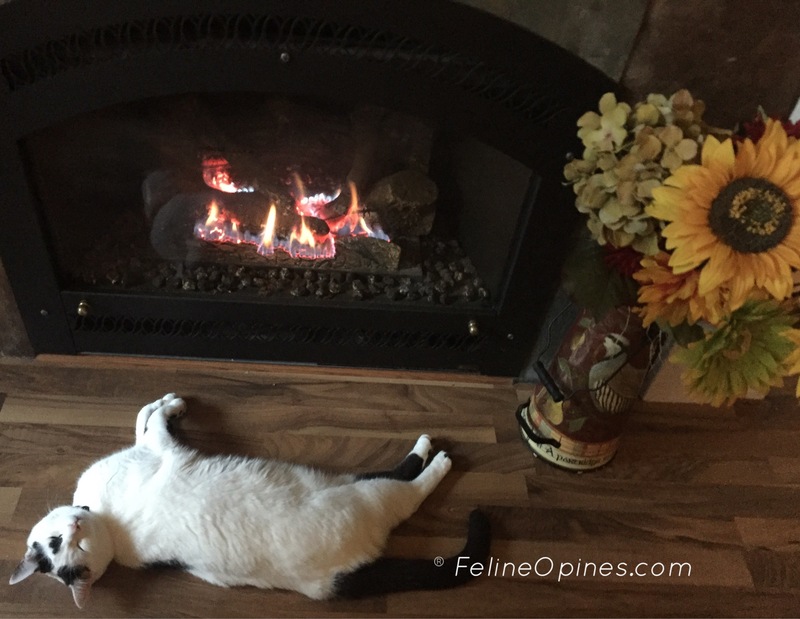 It is not in the feline nature, particularly the nature of a spoiled indoor feline living in a fear-free environment to have this “stressed out” condition. Still, I care deeply for the feline human and pondered how I might go about assisting her. One morning it occurred to me. She needs a change of purrspective! 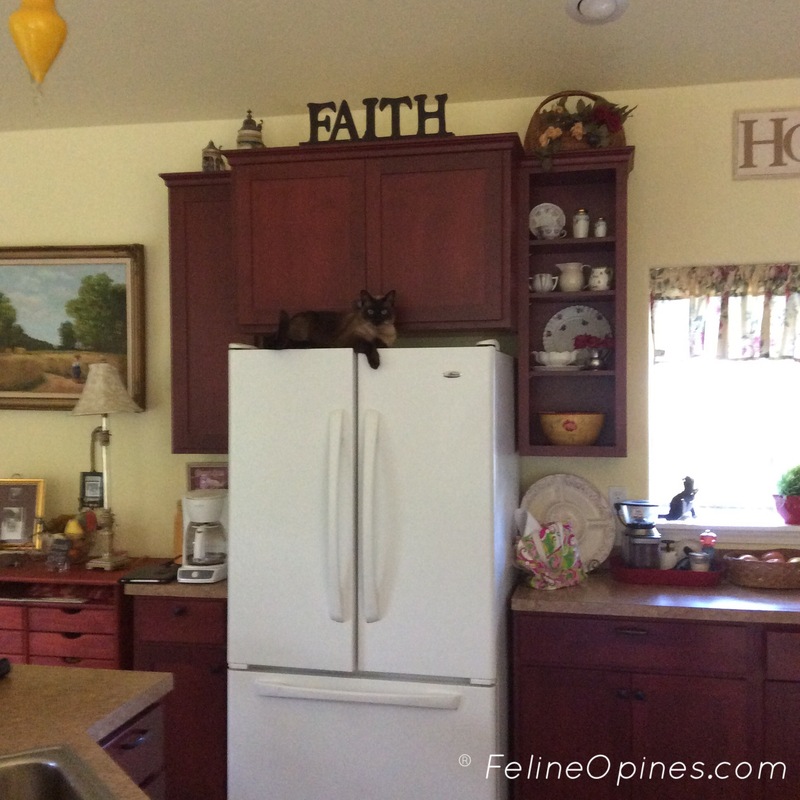 As the female human is on the “shortish” side (she requires a stool to reach the highest parts of the cabinets) and definitely not as coordinated or flexible as this feline , I decided to help her by finding her a new purrspective. This was no easy feat. had to balance myself on a stack of antique suitcases in the corner of the dining room. From there I had to jump up to the top of the buffet and make my way through the slalom course of numerous crystal and silver candlesticks . 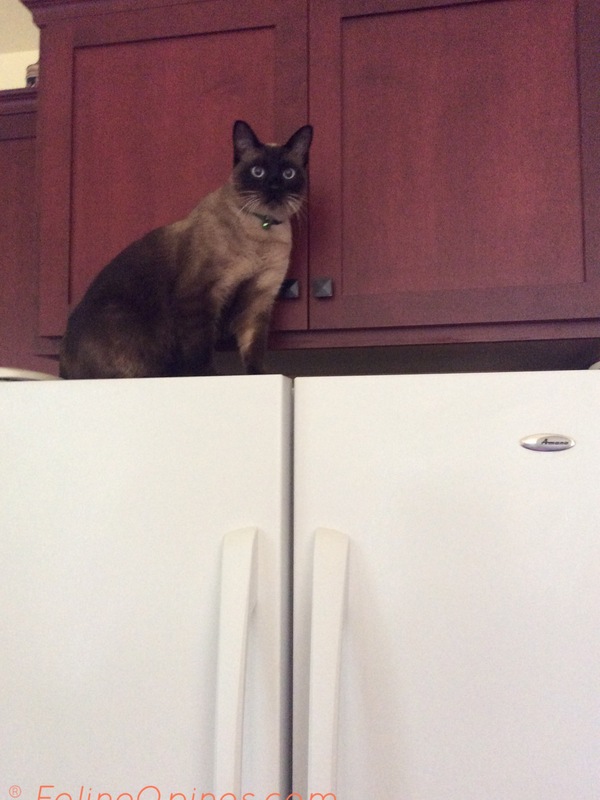 From the buffet I leaped to the top of the kitchen cabinets and from there, I was at the highest point of the house. I made myself comfortable on top of the big, white cat food keeper and was delighted to find that if I kicked my foot in just the right way, I could actually open the door of the cat food keeper. This was a bonus. Evidently the female human did not appreciate my efforts to assist her. She dragged her little stool over, stood on it and dragged me from my spot. That’s the thanks a feline gets for trying to help the humans with a problem. I am sorely disappointed that she did not appreciate my efforts. Next time I will show the same lack of concern as my brother Oliver, who is always more interested in his own state of being than that of anyone else. My regular readers may have noticed that I did not do a “Walk Through The Web Wednesday” post. There is an important reason for this. The male human purchased a thing they call a “Halloween costume”. The humans have been draping this on me in order to get me used to it. This Tuesday they had the temerity to strap the thing on me. I was not amused and announced that I wouldn’t be walking through the web or anywhere else until they drop this ridiculous idea. To all my feline friends, please let me know what you think of stuffing felines into these “costumes”, paws up or paws down? Also, the humans tell me there are many of my species proudly displaying these costume things on the internet. If this is true, please share your photos with us.